Gearbox has been tweeting a series cryptic images in the build-up to Pax East, leading to a lot of speculation about what games they'll be announcing. Signs point to Borderlands 3 for the first one of course, and the follow-up image could be from a sequel to We Happy Few? Maybe? That was followed by a pixelated screenshot of Maya from Borderlands 2, which might point at a Switch port, and the fourth image is something completely different: An ampersand. Specifically a red ampersand on a black background that looks suspiciously like part of the Penn & Teller logo. 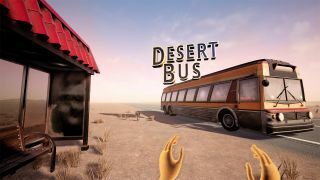 Gearbox did recently publish a VR version of the desert bus game from Penn & Teller's Smoke and Mirrors. Could we be about to see a full-on sequel to the legendary unreleased game?